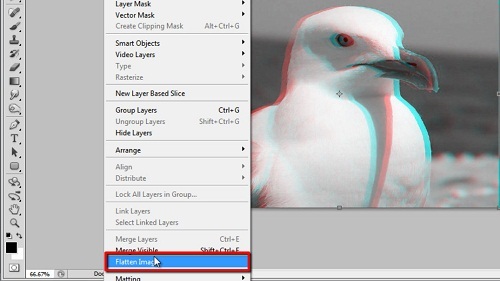 Creating a 3D photo in photoshop is sure to be easier than you think although you will need a pair of ‘red and blue’ glasses to view the image afterwards. Start Photoshop and load the image that you want to make 3D. This process will work best with a black and white image. In the layers panel on the right, right click on the background layer and in the menu that appears click “Layer from Background” and in the dialog box click “OK”. Double click on this layer to open its style options. In the window that appears uncheck the boxes labeled “G” and “B” and click “OK”. 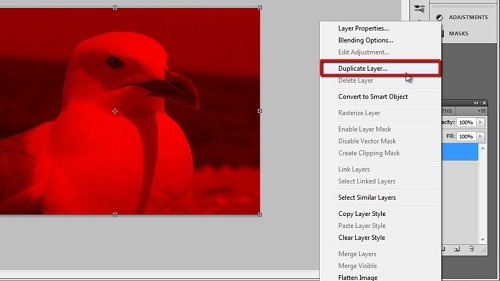 Right click on the layer and click “Duplicate Layer”, double click on this layer that has just been created and in the style window this time make sure “G” and “B” are selected only, and not “R”. Click “OK”. You will see that the image has returned to its black and white form. Click on the “copy” layer and select the move tool in the toolbar on the left. Using the keyboard press the right arrow key five times to adjust the position of the image. 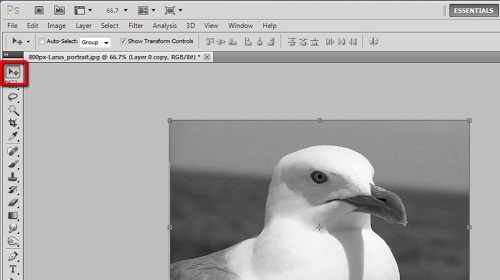 Now, select the other layer and press the left arrow key five times to move the other layer in the opposite direction. Your image should now resemble a stereoscopic image. This image will now work with a pair of ‘red and blue’ glasses and to complete it we should flatten the image. 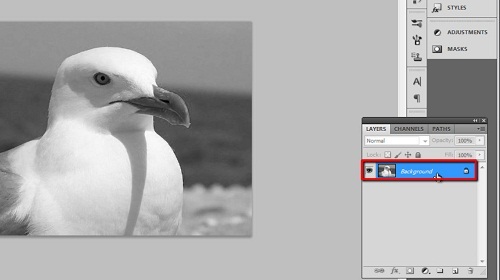 Click “Layer” then “Flatten Image” and that is the simple process for creating a 3D photo in photoshop.